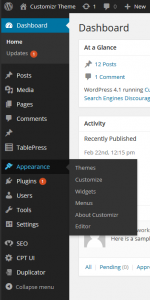 Almost all options of the Customizr WordPress theme are set from the WordPress Customizer option panel. 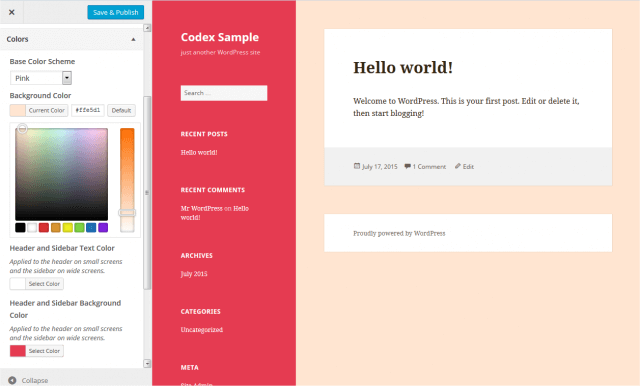 This feature introduced in WordPress 3.4 allows you to preview live all your design customizations in a Theme Previewer frame without changing the front-end design. Once you are happy with your changes, you can just hit save and exit, that’s it ! 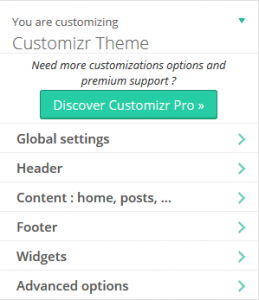 You can discover more about Customizr Pro, the Premium version of this Theme. To see a quick demo of how powerful this feature is, check out this video (based on 3.0 version). When starting your website, we suggest you start with the the Customize panel and systematically work through the options to achieve the basic layout you require. The following sections show you what you can achieve with each of the options.